If you could have a smile capable of launching a thousand ships, wouldn’t you take it? Great opportunities might come knocking at your door, non-stop. It would surely have a positive impact in your personal and professional life. But, what if your smile isn’t quite all that? You may need our professional assistance. Ask us about how cosmetic dentistry can help! Cosmetic dental procedures create a positive change in the appearance of your teeth and smile. Well-planned and well-executed cosmetic dentistry will not only result in a stunning smile, but will also help boost your confidence and contribute to a more youthful appearance. At Prevent Dental Suite, we offer state of the art cosmetic dentistry in Kallangur to help you achieve the smile of your dreams. Whiten your teeth up to eight times better with Zoom Whitening by your trusted Kallangur dentist. The treatment only takes an hour, perfect for those with busy schedules. Zoom Whitening also offers lasting solution as well as removal of stubborn stains. Your dentists at Prevent Dental Suite are the teeth whitening specialists to see in Kallangur! Many local Kallangur residents have visited us to achieve a bright new smile in preparation for special occasions. We offer extremely safe take-home and in-chair dental bleaching using high quality teeth whitening products to ensure a beautiful bright smile. Are you uncomfortable with your bite? Do you suffer from minor orthodontic issues? Do you want a clear, convenient alternative to metal braces? Then Invisalign is the answer. Having crooked teeth may cause many problems such as gum disease, tooth decay, and loss of confidence. Invisalign is a series of clear, removable aligners that correct your bite gently and gradually. Veneers are a versatile cosmetic treatment that repair a wide range of aesthetic issues. 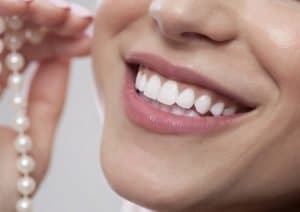 Porcelain veneers are very thin shells that can fix gaps, discoloured teeth, chipped or broken teeth, misaligned teeth, large faulty fillings, and many other problems. Veneers are placed on front teeth to conceal flaws and reveal your new healthy, beautiful smile. For a more attractive alternative to dentures, you can opt for dental implants. Dental implants are cosmetic and restorative dentistry that are used to restore your teeth and make you look three to four years youngers. Dental implants are the next best thing to the healthy teeth that look and feel natural in your smile. If you are self-conscious about your smile, your dentists at Prevent Dental Suite are here to help. Our skilled doctors will design the smile you’ve been dreaming of without compromising the health of your teeth. We use advanced techniques and high-quality materials to provide you with faster and long-lasting results. We are your partners in achieving healthy, beautiful teeth. Affordable composite / porcelain veneers in Kallangur, Petrie, Murrumba Downs, Deception Bay, Narangba, Strathpine, North Lakes, Bribie Island, Sunshine Coast, Caboolture, Warner, Lillybrook, Griffin, Mango Hill, Lawnton, North Brisbane and Brisbane. To find out more, visit our special offers page or contact us now on (07) 3886 2428 or make an appointment online TODAY!